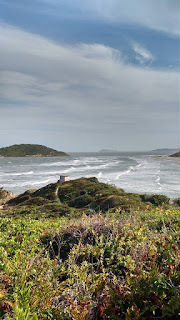 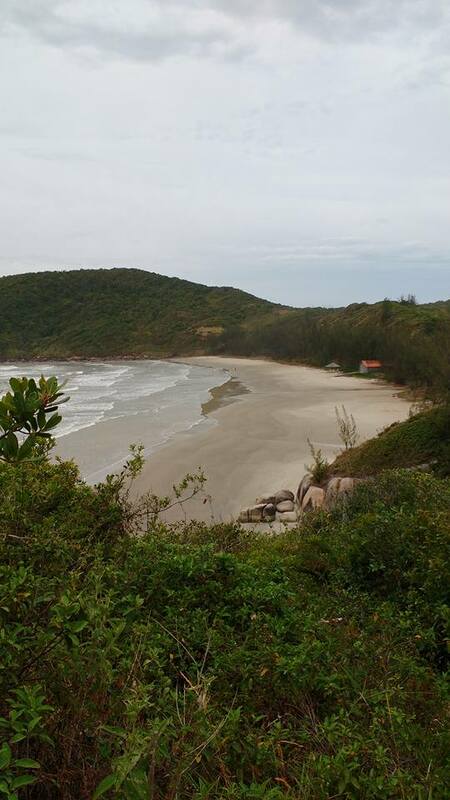 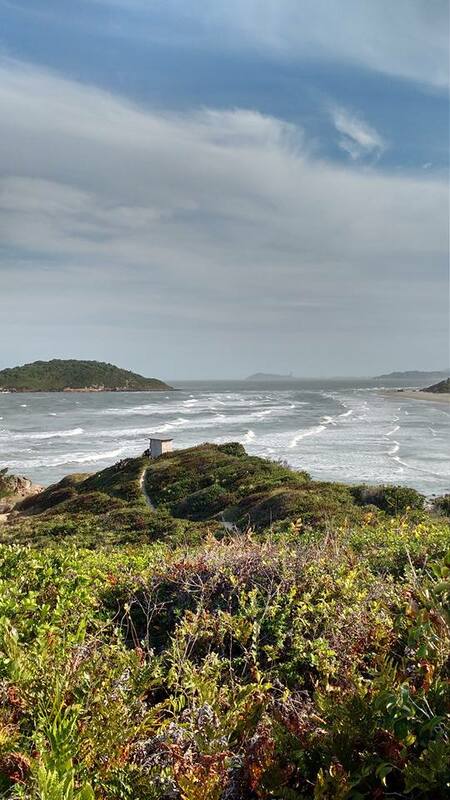 Praia do Rosa is one of Brazil Ecojourneys' favourite destinations. Not only is the single Brazilian member of the exclusive "Most Beautiful Bays of the World", a nursing ground for the giant Southern Right Whales and home to some of the best waves (and the best Surf Camp ever!) 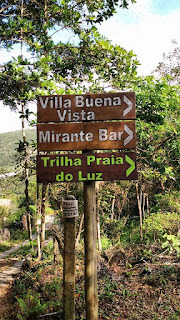 in the country but also offers loads of other outdoor activities, including hiking, cycling and horse-riding. 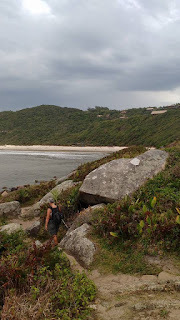 Here we give you a glimpse of a couple of day treks that start directly from your guesthouse, ideal for those cloudy days or whenever you want a break from the beach. 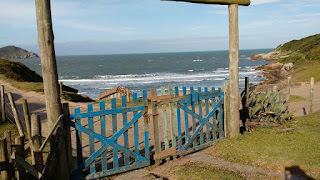 And if you are there for whale watching, they offer great viewing points. 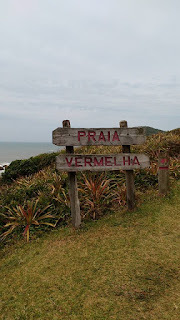 Beginning of the trail from Caminho do Rei. 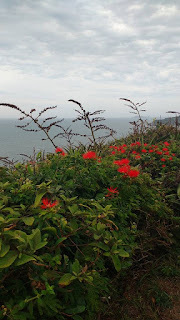 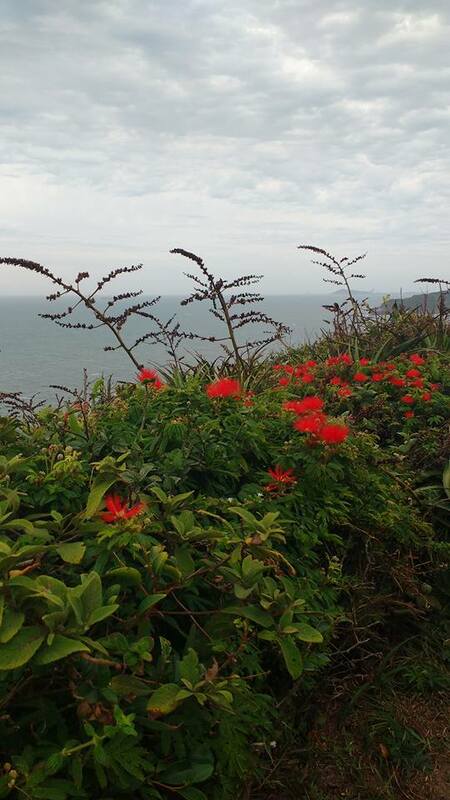 Wild flowers on the coastal path between Vermelha and Rosa beaches. 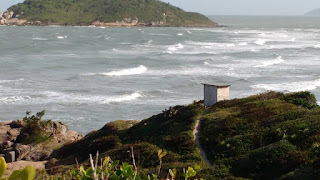 Contact us for accommodation and packages including Praia do Rosa and other destinations in Santa Catarina.